Two infants died unexpectedly after going to separate daycares in the San Antonio, Texas area. One mother, Gabriella Garcia, got a call from Our Little Hopes and Dreams Christian Learning Center on a Monday afternoon. “Your son is unresponsive, you need to come now,” said the daycare staff. 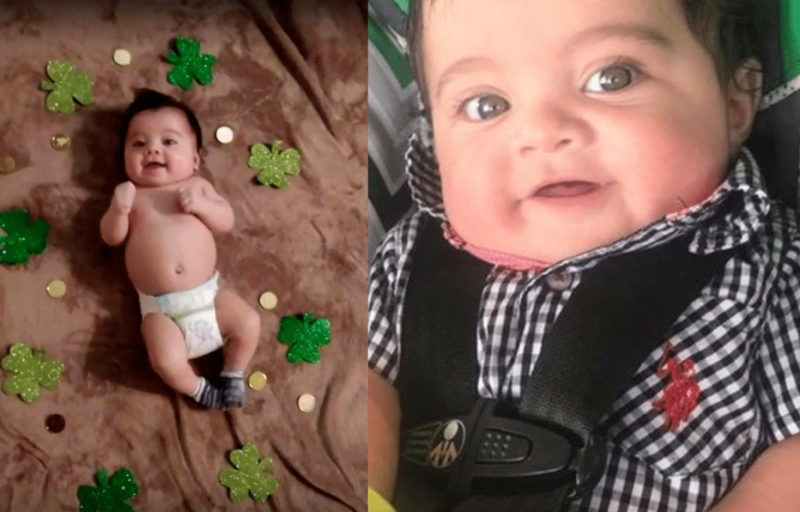 Garcia’s 7-month-old baby, Michael Carter Donnell, nicknamed Carter, was found unresponsive after being put down for a nap in a crib on July 23, 2018. The frantic mother was at work just a short distance away, but traffic slowed her down as she tried to get to the daycare. When she arrived, paramedics were on the scene pumping Carter’s chest. Is he warm?” she said she asked. No. The baby was later pronounced dead at the hospital at 1:56 p.m. a short while later. 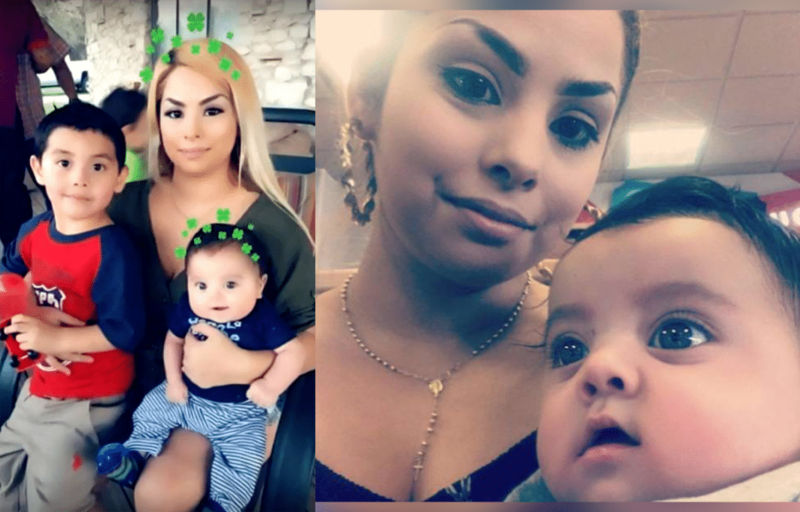 According to MySA, the grieving mother held her baby’s body for three hours until he was taken to the medical examiner. “I was with him until 5 o’clock, holding him and crying with him and loving him and telling him how much I wanted him with me,” Garcia said. “He had vomit in his hair,” she said. The mother later said she believed Carter had died when he rolled over onto his stomach, spit up, and choked on his vomit. Emergency management services found Carter face down in his crib, with blood and vomit on the sheets. The daycare had no cameras in the room, and she wondered how long her song had been left alone. She claimed that she had warned the daycare staff that her son didn’t like sleeping on his stomach, only having learned to roll over a month and a half before going daycare. He had only been there for less than a week before he was found dead. “He didn’t last five days at that daycare,” Garcia said. Following the tragic death of her son, Garcia began pushing for a new law in his honor, the Michael Carter law, which would require daycare centers to have cameras inside all rooms, including where infants sleep. Texas law doesn’t require cameras in all rooms of smaller daycares because of the potential burden, but Garcia finds that unacceptable. Later in October 2018, the Medical Examiner’s Office ruled that Carter’s death “sudden unexplained death in infancy.” The San Antonio Police Department investigations similarly determined no evidence for criminal charges. Nevertheless, Carter’s parents filed a lawsuit, alleging the daycare’s director and its employees were negligent and failed to supervise baby Carter. One report suggested the parents later dismissed the case. Garcia told CafeMom she has a warning for parents of toddlers. “I would like parents to know, do not put your kids in daycare, at least until they are old enough to tell you about their day,” she says. Meanwhile, the daycare owner said she is devastated and they are praying for the family, according to KENS5 news. On February 4, 2019, a 6-month-old girl was found dead at another daycare in San Antonio. Mila Rose Wallace was pronounced dead on 5:21 p.m. on Monday. 5 Little Hearts in-home daycare closed operations while state officials investigate what happened. Hope Wallace, Mila’s mother, got a call from the daycare operator, April Lozano. “Your child is not breathing,” Lozano said, according to Wallace. Similar to baby Michael Carter Donnell, Mila was put down for a nap and was found unresponsive. Wallace never got to see her child until a viewing days later on Thursday. She was told her daughter had died in her sleep. Now Wallace isn’t sure what to do as she prepares for the funeral. “I’m just going to continue to pray that my daughter gets the justice that she deserves,” she said. With two similar incidents at San Antonio daycare centers in the span of a year, it seems that Michael Carter’s law should become a reality. "Your child is not breathing": A mother recalls the harrowing moments after learning her child had not woken up from a nap. State records showed that the Texas Health and Human Services Commission had cited the daycare for 34 deficiencies in three years. The post 7-month-old baby found dead in bloody crib during first week at daycare appeared first on So Share This!.